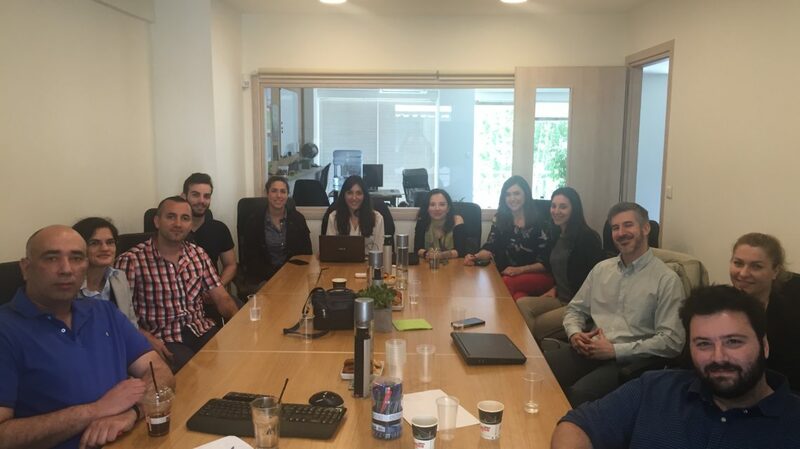 AGENSO organized today a meeting with all the secondments of H2020 OchraVine project that are been seconded at the city of Athens through the Greek partners of the project (AGENSO, Agricultural University of Athens and Neuropublic). The aim of the meeting was to define the specifications of the OchraVine Control DSS software that will be developed by AGENSO during the project duration. The aforementioned DSS will be able to receive real time information from various sensors and effectively predict, monitor and reduce the incidence of OTA in the vine value chain products. The meeting was complete with great success, as staff members from whole consortium participate in it.